It’s almost time for Emerald City Comic Con 2018…and Valiant will be there to kick off Washington State’s biggest pop culture convention with a show of force from the largest independent superhero universe anywhere in comics! 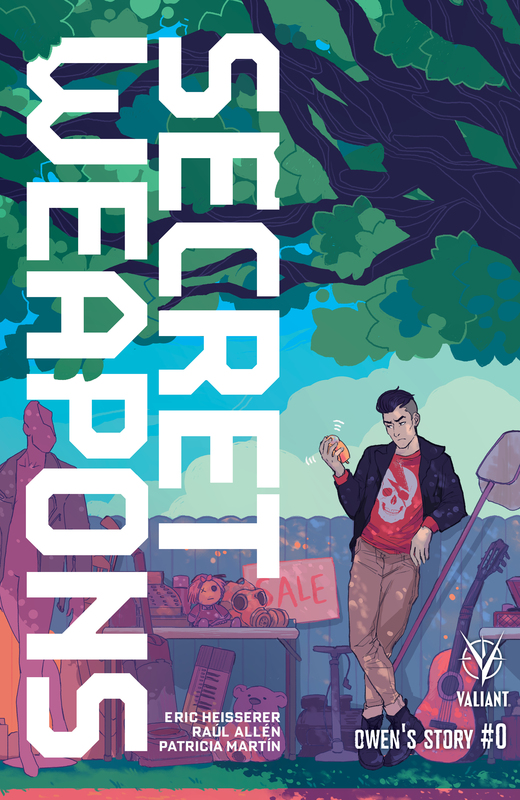 Plus: Available only at ECCC 2018, don’t miss the SECRET WEAPONS: OWEN’S STORY #0 ECCC 2018 Exclusive Variant, featuring the gorgeous work of rising star Hannah Fisher (Tomb Raider)! Witness one of the year’s most unlikely and unorthodox origin stories as the complete SECRET WEAPONS creative team – including Academy Award nominee Eric Heisserer (Arrival) and Harvey Award-nominated artists Raúl Allén (BLOODSHOT REBORN) and Patricia Martín (WRATH OF THE ETERNAL WARRIOR) – reunite for a standalone tale spotlighting a day in the all-too-complicated life of Owen Cho, one of Livewire’s newest recruits and quite possibly the Secret Weapons’ most unique talent of all! We’ll see you in Emerald City!